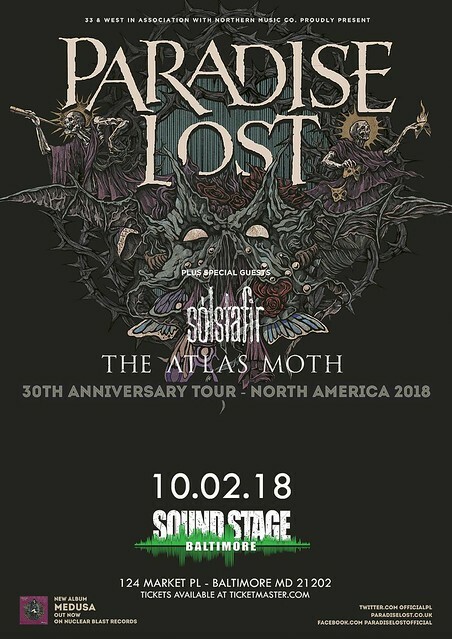 The legendary Paradise Lost is coming to Baltimore Soundstage on Tuesday, October 2nd, along with Sólstafir and The Atlas Moth. 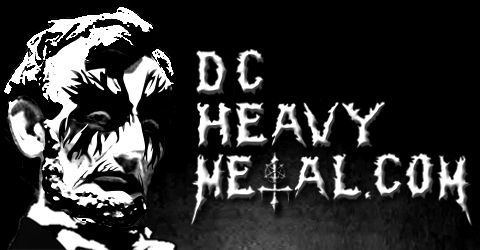 Their dark style of doom metal is perfect for this season where the weather starts to turn so we’re giving away a pair of tickets to this show to a lucky one of you DCHM readers. To enter: leave a comment on this post telling me your favorite metal band to listen to in the Autumn months. Then on Friday, September 28th at 5pm EST the contest will close and a winner will be chosen at random (using Random.org) from all valid entries. The winner will get two free tickets the show! Be sure to enter using an email address you check regularly so I can contact you if you win. Don’t worry, I won’t add you to any spam lists or sell your info or anything sleazy like that, I hate spam too. If I haven’t heard back from the winner in 24 hours another winner will be chosen at random. If you can’t wait to see if you win or the contest is already over when you read this, then you can get tickets from Ticket Master for $27.50 here. Paradise Lost formed in Halifax, England, in the late 80’s and is one of the Peaceville Three, along with Anathema and My Dying Bride, who all formed a much darker take to doom metal in the early 90s while all signed to Peaceville Records. In fact it was Paradise Lost’s sophomore album, Gothic, that the genre of gothic metal gets its name from. They’ve influenced countless bands yet somehow Paradise Lost, who still features all their original members aside from the drummer, manage to put out solid material. This isn’t an old band that just plays their old classics, they still put out solid material, including their 2017 album Medusa, which was #1 on Decibel Magazine’s top 40 albums of 2017. In addition to the rare chance to see Paradise Lost in the US the tour has some excellent support acts. Sólstafir from Iceland blends post rock with viking metal, adds a pinch of country western and a heavy dose of melancholy. The opening band is The Atlas Moth, a post metal band from Chicago that has been getting better and better with every album. Now check out these videos of the bands below and leave a comment letting me know what your favorite metal band to listen to in the Autumn is.